A student of Federal Government College in Langtang, Plateau State has been killed by Lassa Fever. Two other students are also hospitalised as a result of the outbreak confirmed on Sunday by the Commissioner of Health in Plateau State, Kuden Deyin. 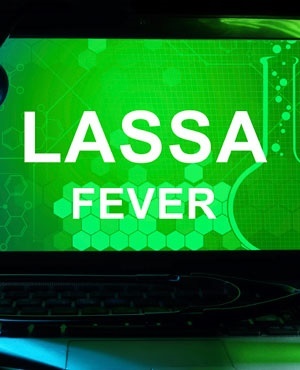 “Yes, there was an outbreak of Lassa Fever at the Federal Government College, Langtang; it has claimed one life while two others are in the hospital,” Kuden told the News Agency of Nigeria on Sunday, in Langtang. He did not disclose the name of the student, but he said 4 students were rushed from the school’s clinic to the Jos University Teaching Hospital. “The students displayed symptoms of Lassa Fever and we immediately took their blood samples to the Lagos University Teaching Hospital, where three tested positive to the disease. “One among those that tested positive is dead, while the other two are still on admission at JUTH,” he said. The Plateau government has met with the principal of the college and advised her to halt the resumption of the students from their mid-term break. The commissioner advised families with children from the school to observe them and report any symptom of the fever to JUTH, Plateau Specialist Hospital or the Bingham University Teaching Hospital. “Any child, who manifests symptoms of fever and bleeding from any part of the body, should be rushed to any of these hospitals for prompt evaluation,” he said. Cases of Lassa fever were recorded across South-West and South-South Nigeria in 2016 with the Ministry of Health recording over 20 deaths in affected states.